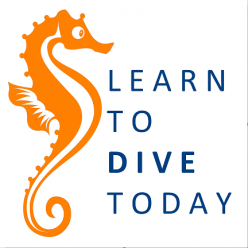 Everything ocean related, with a special focus on scuba diving the rich coastal waters of Cape Town, South Africa. 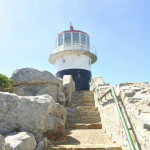 The old Cape Point lighthouse was commissioned 1 May 1860. 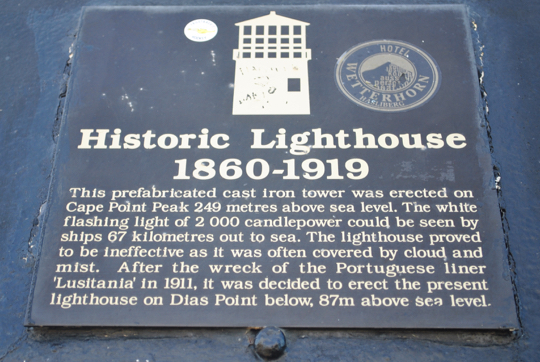 A nine metre cast iron structure (same fabrication as the Slangkop lighthouse), it is painted white. 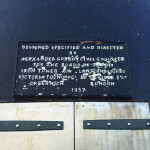 The designer of the lighthouse did not visit the site, and decided that the weight of the nine metre high cast iron tower would be sufficient to keep it anchored in place without a foundation. 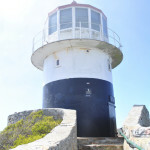 Fortunately the construction supervisor was well appraised of the strong winds that blow year-round at Cape Point, and decided to bolt the tower to the rocks. 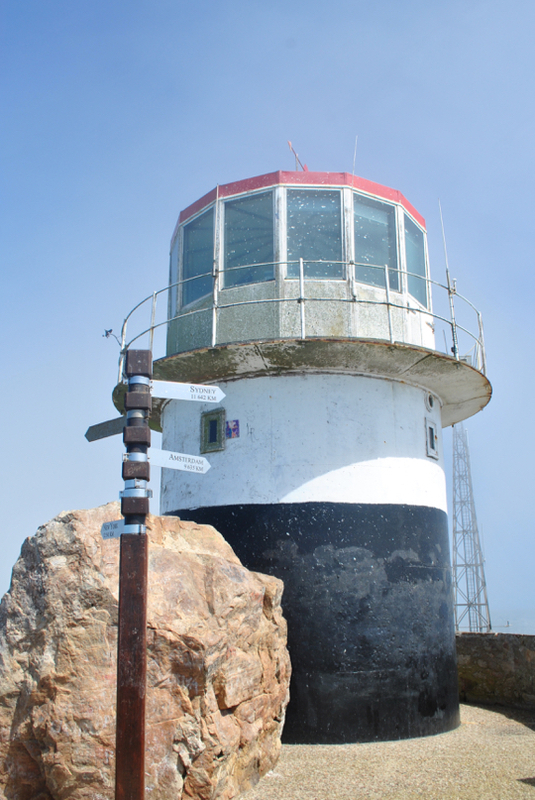 The lighthouse was built 262 metres above sea level – the highest practical elevation at which it could be situated. On a clear evening, the light was visible for up to 36 nautical miles. 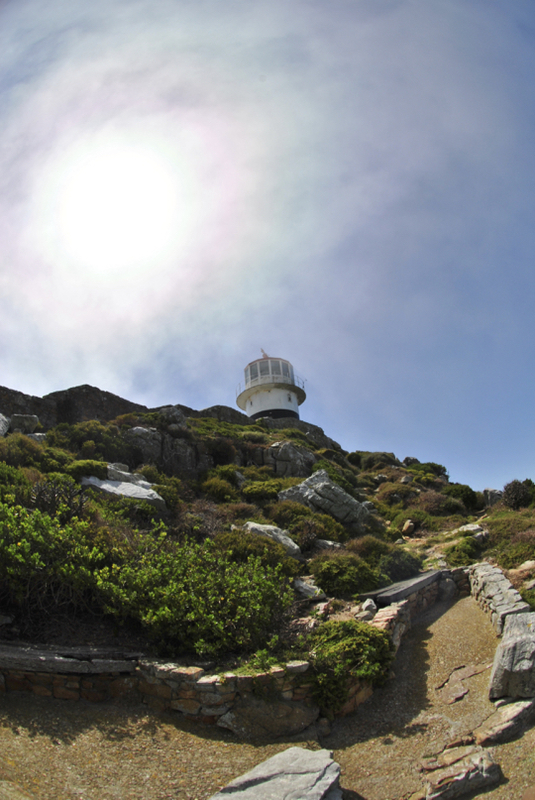 Much of the time, however, it was hidden under the blanket of fog and low-lying cloud that frequently bedevils Cape Point. The Lusitania was wrecked on Bellows Rock, below Cape Point, on just such a foggy night in 1911. 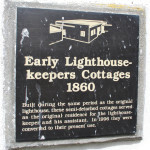 In 1919 a new lighthouse was commissioned, lower down the cliffs from the old light. 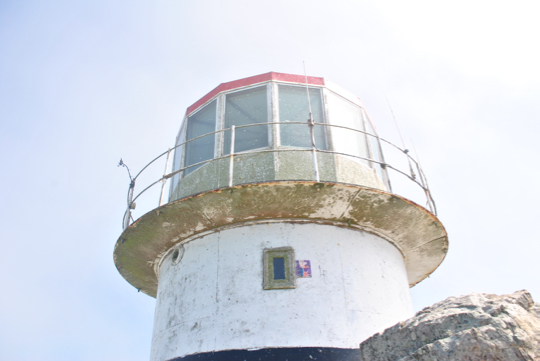 This light, combined with the Slangkoppunt lighthouse, would do the job that the old light was supposed to do. 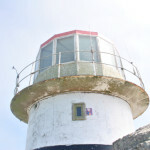 The old lighthouse is now a watch room with a communications centre and lighthouse monitoring system. 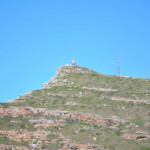 It is not open to the public, but if you wish to walk around it and admire the spectacular views, it can be found at the top of the hill (or take the funicular if the power isn’t switched off for load shedding) above the main parking area at Cape Point. As usual, everything I know about this lighthouse that I didn’t learn by looking at it (i.e. most everything), is thanks to Gerald Hoberman’s wonderful Lighthouses of South Africa book.